Researchers have reported promising early results from a clinical study of an investigational cellular immunotherapy that used a patient’s own, genetically engineered immune cells to recognise and fight Hodgkin and non-Hodgkin lymphoma cells. The researchers presented preliminary results from a clinical study of an investigational cellular immunotherapy for Hodgkin lymphoma and non-Hodgkin lymphoma expressing the CD30 protein marker. Data from the phase Ib/II trial showed that the treatment was safe, and it generated “excellent” responses when used after patients were treated with a specific chemotherapy regimen. Cellular immunotherapy involves extracting disease-fighting immune cells – called T-cells – from the patient’s blood, and genetically engineering them to recognise the patient’s cancer. The researchers use a modified virus to insert DNA into the T-cells, which spurs the T-cells to express a receptor that allows them to recognise and destroy cancer cells. The hybrid T-cells, called chimeric antigen receptor T-cells, or CAR-T cells, are then multiplied and infused back into the patient. UNC Lineberger’s first clinical trials used T-cells engineered to recognise tumours expressing the CD30 protein marker. Researchers presented preliminary data for 24 patients. The majority of patients had Hodgkin lymphoma, a disease affecting white blood cells that is considered one of the most curable cancers. In some patients, however, the disease can progress and become resistant to treatment. Prior to enrolling on the study, most patients had received more than seven treatments, including brentuximab vedotin, which can target the CD30 marker. In the study, the researchers pre-treated the patients with chemotherapy – a treatment method they called “lymphodepletion” — prior to an infusion of the CAR T-cells. 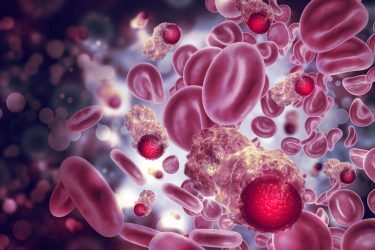 Of 14 patients who received the chemotherapy regimen of fludarabine and bendamustine, followed by infusion of CAR T-cells, 10 patients, or 71 percent, had a complete response. The median progression-free survival duration for patients in that group was 396 days. Two other patients were in complete response prior to receiving the chemotherapy regimen and weren’t included in the results. Eight patients received an initial pre-treatment regimen of bendamustine only. Three patients, or 37 percent, saw a complete response, although they were responding prior to administration of the new chemotherapy regimen. “The most important findings were that we identified a lymphodepletion regimen that can be used with these specific CAR T-cells, and make a difference in the outcome for these patients without significant toxicities associated with other cellular immunotherapies,” said the study’s senior author Barbara Savoldo, MD, PhD, Assistant Director of the UNC Lineberger Immunotherapy Program and professor of Pediatrics in the Division of Hematology/Oncology at the UNC School of Medicine. Researchers said their work will be ongoing to try to improve outcomes for the investigational treatment, including through another clinical trial that is designed to evaluate a mechanism for helping to recruit CAR T-cells to tumour sites. “This study shows this is worth pursuing further, and the next step is to improve on this investigational therapy,” Prof Grover said.